The big question is did the late rain rains bring any flowers to spring 2012? Yes it did, not much but still enough for photography. 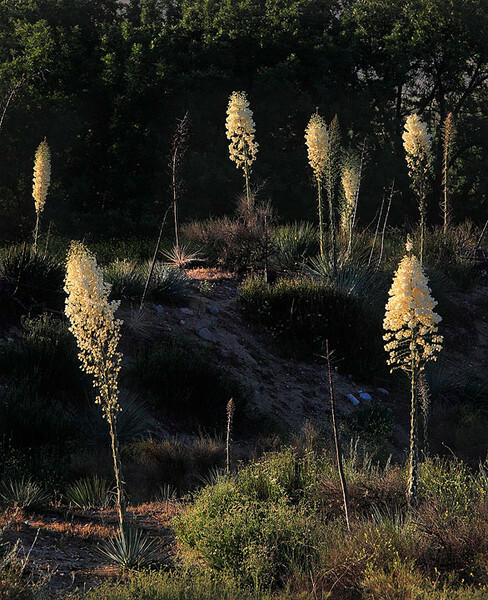 These whipple yucca (aka God’s Candles) are putting on a show through out the washes and a little here and there on dry hillsides. 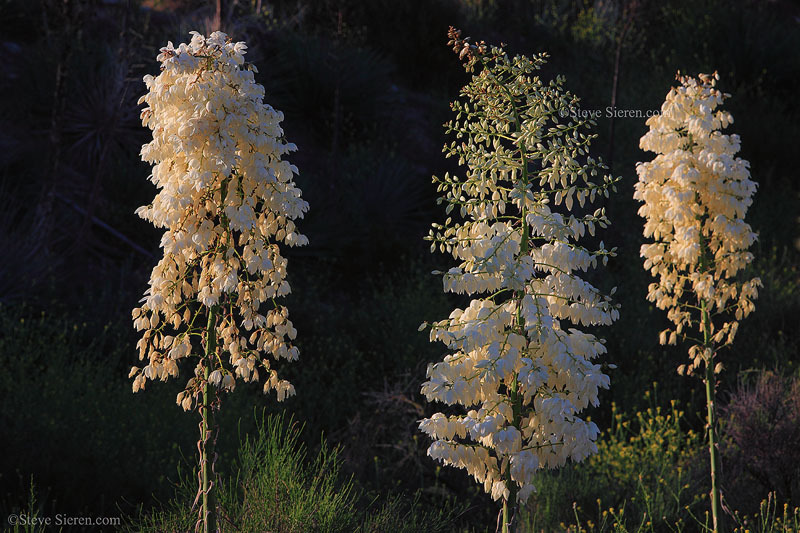 All blooming yucca shown were photographed this morning along Piru Creek, right off highway 126. Will they still be around by the weekend? Yes they will, they haven’t peaked so they will be around for the weekend. What is blooming in the same location? There are a few bush like trees full of pink flowers in the same wash so keep an eye out for them. I’ll be posting a few more late spring finds this week to wrap up spring 2012 so stay tuned!! 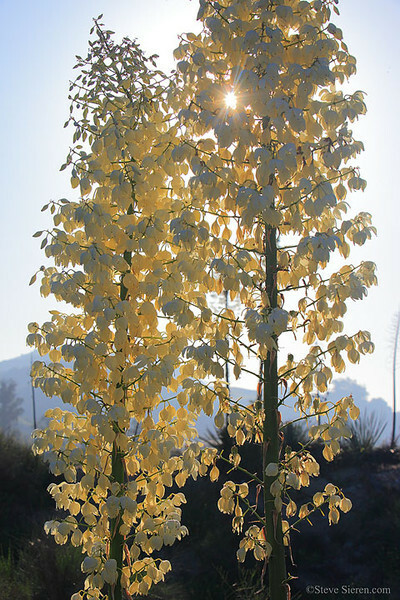 These whipple yucca can grow to nearly 20 feet tall. 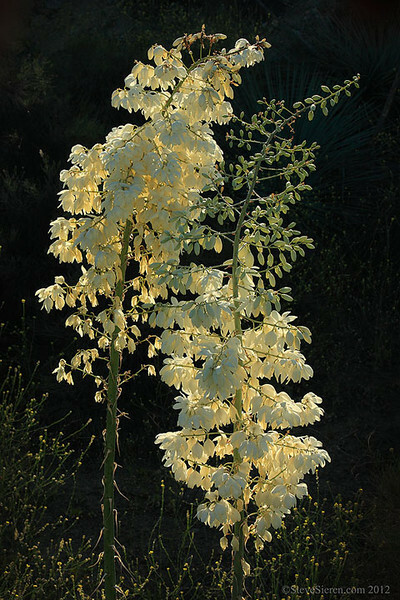 Giant blooming whipple yucca in the Santa Clara River Valley, Southern California. Unfortunately these only bloom once and die shortly afterwards. Their last hoorah is a spectacle no doubt! This entry was posted on May 14, 2012 at 11:10 pm and is filed under Uncategorized. You can follow any responses to this entry through the RSS 2.0 feed. You can leave a response, or trackback from your own site. Im so in love with these things. We have a bunch scattered on my mountain that I’ve been visiting lately.. I really look forward to it each year…. That’s a wonderful patch u got there. These things just mesmerize the hell outa me! Mizzy, I love them too! They can be difficult to shoot at sunset if there is wind out especially if you’re bracketing. They are huge so no macro needed to get the detail in them, unlike most other flowers!! They remind me of people. I’ve been visiting them for weeks now. I talk to them. 🙂 I have a patch at the top of coral canyon that glow in the late setting sun as it sinks at my back… They overlook the Malibu creek valley… Like aliens… When the marine layer is just right… In the distance… It’s really special. Perhaps this weekend…. I might stumble on a good moment. Fingers crossed. Good luck up there Mizzy, I hope you get that shot!! The monkey flowers are pretty amazing locally right now too! Maybe you can get both together? thanks, yeh, got a bunch of those monkeys everywhere too… some really big patches catch my eye every morning… almost pulled over yesterday on the way home. Still waitin on this marine layer to come back…. maybe today. Thanks again steve. be safe out there. Say hi to your yuccas for me. 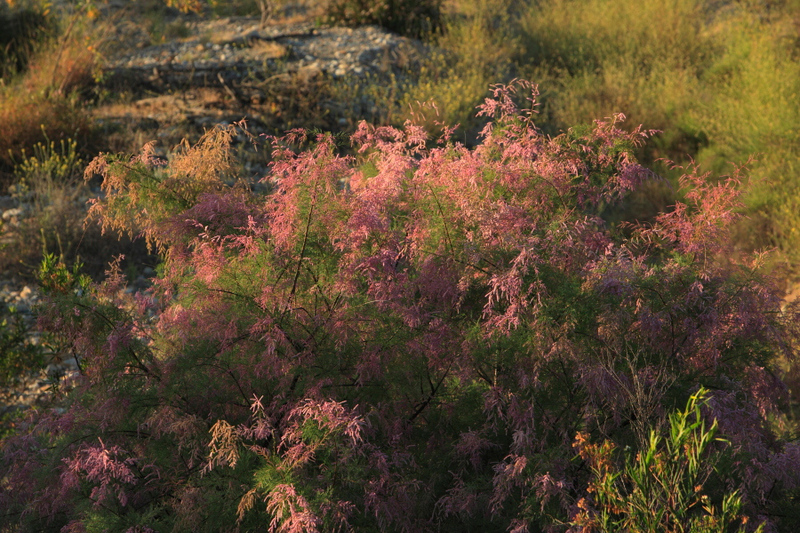 I believe the pink-flowered bush is an invasive species called Tamarisk. Thanks John. That’s what I’ve been hearing John so you are right, I didn’t know it grew as a bush, thought it was a tree only.